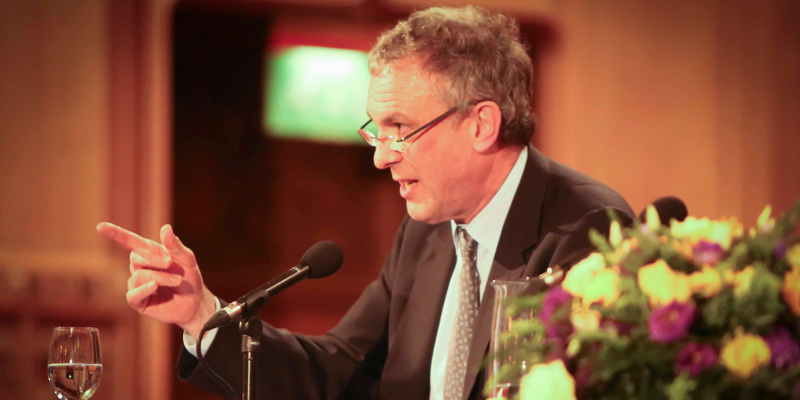 Yesterday evening saw Sir Simon Fraser deliver an insightful, facts-driven and uncompromising analysis of the United Kingdom’s place in the world following Brexit and recent developments in the United States. His speech reflected the complexities of building new trading partnerships post-Brexit and highlighted challenges around strategy, legislation, negotiation and the attitude needed to bring about a successful outcome. He pointed to the high level of trade that the UK currently conducts with Europe and that currently 44% of our trade is with the EU; 16% with the US; 13% with countries the EU has Free Trade Agreements with; 8% with BRICS; 9% with Commonwealth. Efforts would need to be made to continue all these trading relationships, but particularly those with Europe and the US. As far as negotiations are concerned, he commented that negotiations would be complex, requiring a firm grasp of the opportunities and risk across a wide number of criteria. He reminded the audience that the UK would need to give concessions to win valuable trade deals. The lecture was followed by questions from the floor, an audience which included representatives of many City of London institutions and Livery Companies, Tacitus sponsors, the business community and students. April will see The World Traders host The Tacitus Debate, where Sir Simon’s topic will be further debated by a panel of experts including Sir Simon Fraser, and chaired by Lord Tim Clement-Jones. This year’s Tacitus Lecture and Debate was sponsored by Alembic Strategy, Aon Benfield, Bowers and Wilkins, and Global Trade Review and has received funding from the Commercial Education Trust.